According to the details on the staging page, the unlimited plan will be available to new subscribers for a limited time for any 2D movie. But there's a catch. In a clear move to limit power users, subscribers' choices will be restricted in response to "excessive individual usage." 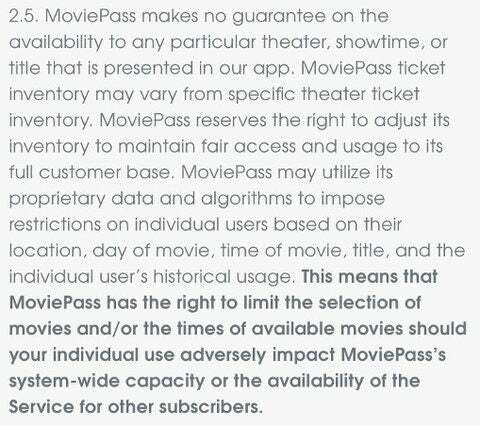 There it says that "MoviePass makes no guarantee on the availability to any particular theater, showtime, or title presented on the app." It also states that it may use its algorithms to restrict users "based on their location, day of movie, time of movie, title, and the individual user's historical usage." That's not the only catch in the new plan. 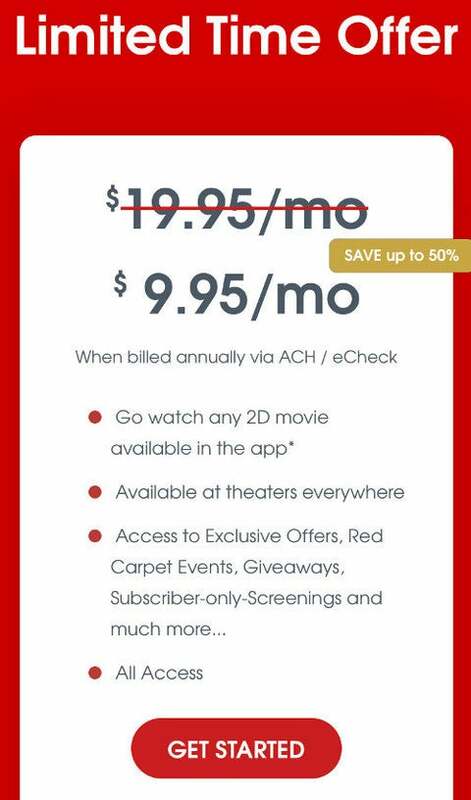 MoviePass wants subscribers to pay the $9.95-a-month price on an annual basis through eCheck of ACH. 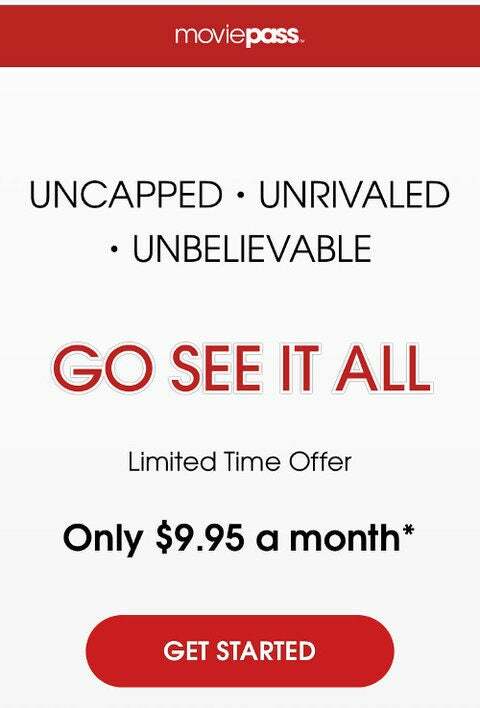 With MoviePass' management turmoil and heavy losses, some subscribers might be wary of paying for a full year up front, especially before they know how much MoviePass will restrict the available showtimes and movies. The ACH option would also require subscribers to give out their bank accounts. MoviePass has recently said it plans to "create a more closely connected relationship between our subscription service and original content production unit, MoviePass Films." It's a move that has some inside the company baffled, and contributed to recent management turnover, a source close to MoviePass told Business Insider.